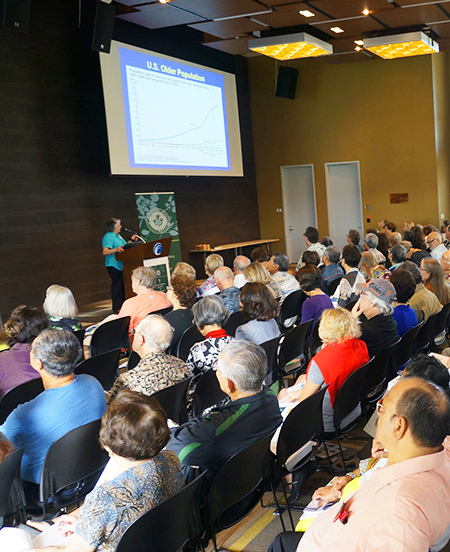 Welcome to the "Dr. Rosita Leong Mini-Medical School on Healthy Aging"
Our life spans are increasing and "healthy aging" is a goal we all share - both as individuals and as citizens of Hawaiʻi. Our state is in a unique position in that, by the end of the next decade, Hawaiʻi will be the #1 state in terms of senior citizens as a percentage of its overall population - 1/3 of us will be 65 years or older - in addition, we live longer than in any other state. In view of this reality, our goal is to prepare Hawaiʻi's citizens with information on the best way to maintain health and well-being as we age. 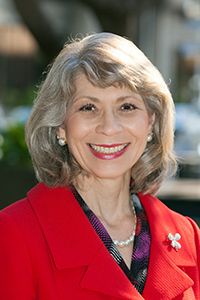 To accomplish that goal, the John A. Burns School of Medicine is partnering with the University of Hawaiʻi Foundation in sponsoring the "Dr. Rosita Leong Mini-Medical School on Healthy Aging". The Dr. Rosita Leong Mini-Medical School on Healthy Aging is designed to prepare participants for the second half of their lives by delivering relevant scientific information on aging, similar to what our medical students learn, but tailored for public audiences. Since 2014, we have been offering all new courses each year in Spring and, because of popular demand, we repeat the Spring Course in the Fall. These courses are open to UH donors, UH alumni and community members (see Course Program for topics covered in the past courses and for the new courses for the current academic year). Videos of lectures and mini-talks are also posted on this website and on the Oceanic Time Warner cable channel “iAGE” at 1342/342. Welcome to this new adventure - and remember "Seniors Rock"! At the conclusion of the MMS program, participants submit an evaluation form. Their comments are indicative of the positive impact of the courses. "This was such a wonderful experience! All the knowlege dispensed was invaluable to all in attendance"
"Loved the MMS-outstanding relevant topics, great speakers!" "The entire curriculum has been enriching & stimulating!"